The submersible Lotus Esprit from the James Bond movie, “The Spy Who Loved Me” sold at auction in London on Monday for nearly $1 million, including taxes. 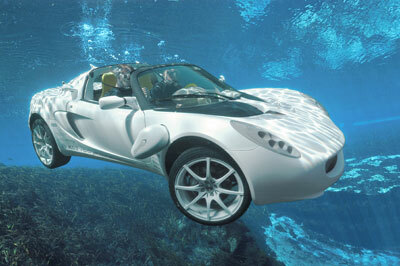 The James Bond “submarine car” may have been a hit with fans, but not with car collectors. The famous submersible Lotus Esprit, used in the “The Spy Who Loved Me,” was sold by RM Auctions today in London for £550,000, or $864,000. Add in the sales commission, and the final price was $967,120. Several versions of the James Bond submarine Lotus were used in “The Spy Who Loved Me.” This one is considered to be the most valuable. That’s a bit below the expected price of between $990,000 and $1.45 million. 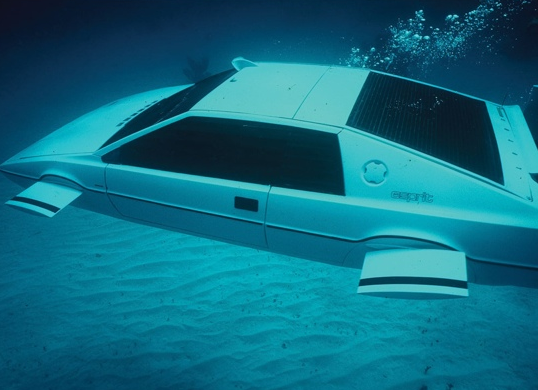 There were eight different versions of the Lotus used in the “Spy Who Loved Me,” and the one being sold was used only for the underwater scenes.